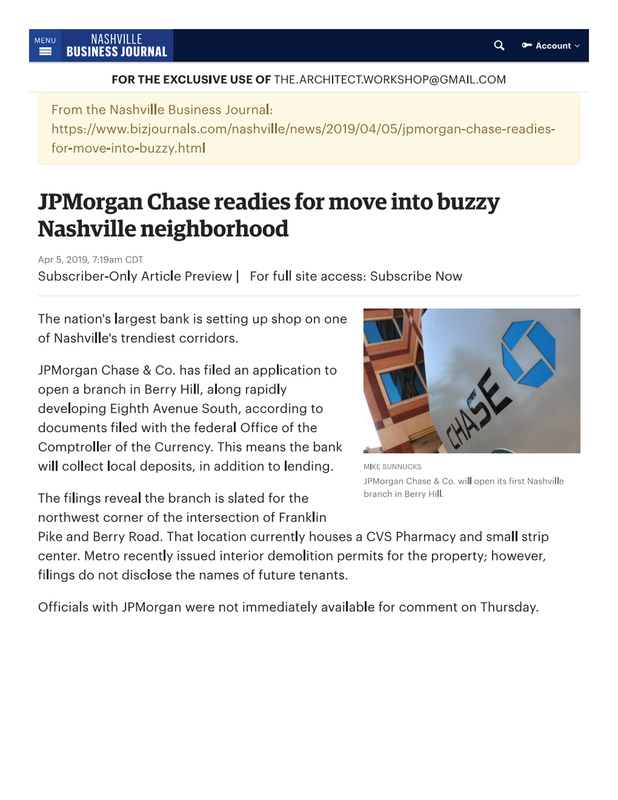 The Nashville Business Journal posted an article regarding our project 8th and Gale on the 05 April 2019. 8th and Gale is a revitalized retail center aiming to provide upscale shopping and lifestyle amenities to the fast-developing Melrose neighborhood. 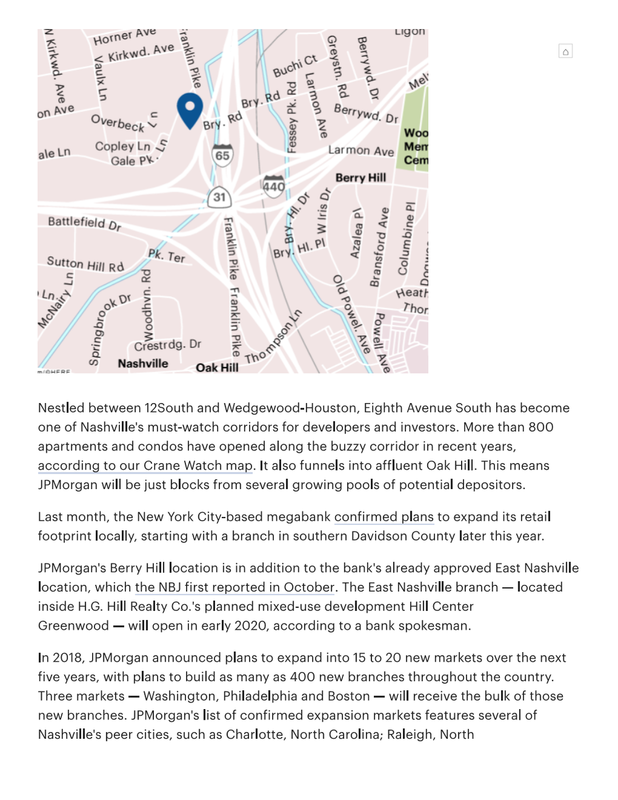 The former CVS anchor tenant will be home to the area’s first J.P. Morgan-Chase bank branch, and the remainder of the building will be upgraded and renovated for future inline tenants. Being the the NBJ is a subscriber only publication, we have to go old school to share this posting in Shop Talk. Please click on the images to read the fine details, but the links are not be active. Although undoubtedly most famous as a country music mecca, Nashville is also home to a vibrant and growing arts scene. Nashville’s friendly atmosphere makes for a collaborative community where musicians, visual artists, and even food bloggers easily pair up for unique results. This creative culture can be seen in coffee shops that double as art galleries, and in the architectural treasures that abound throughout the city. From the reconstruction of Fort Nashborough, originally built in 1780, to the neoclassical and Art Deco details of the Frist Center for the Visual Arts, a juxtaposition of styles composes this city. 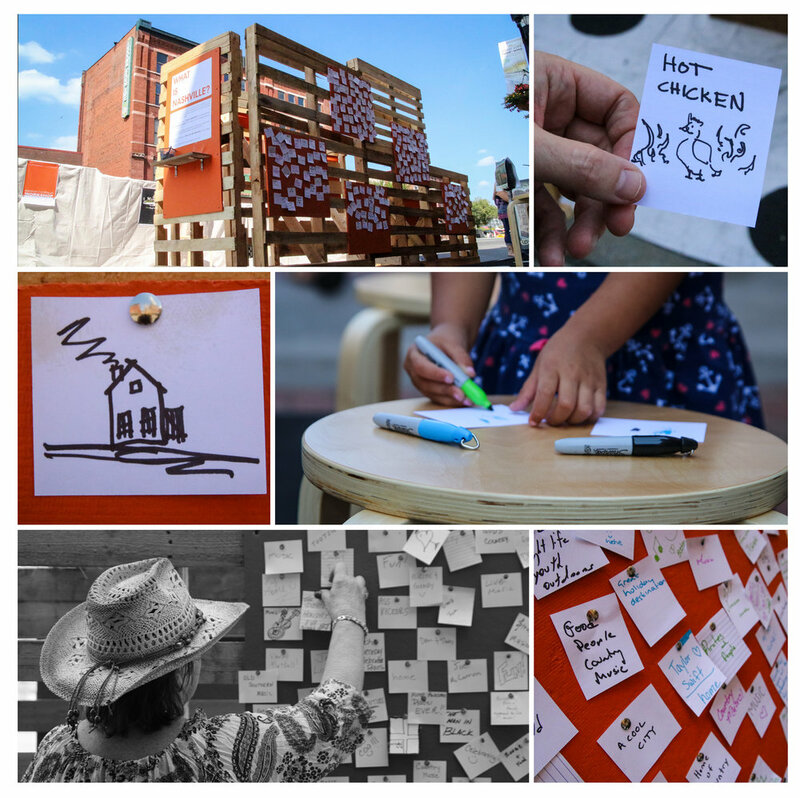 Which architects are contributing most to the built environment of Nashville? These 15 architects, listed here in no particular order, have an eye toward the future combined with a strong understanding of historical place. Professional recognition, ongoing certifications, and client testimonials are a few of the metrics that helped us determine the 15 best architects of Nashville. Don’t forget to vote for your favorite in the poll below! James Kennon James draws upon a rich background to provide knowledgeable leadership at kennon | calhoun WORKSHOP. In 2015, the WORKSHOP earned two of the 10 awards given as part of the annual AIA Tennessee Design Awards Program. James is in the midst of growing the firm to focus on educational, public sector and commercial type projects that are willing to engage in dialog on the environmental and energy impact of the designs. He received his Master of Architecture from Clemson University.